Egypt has announced it will delay opening Rafah crossing between the North African country and the Gaza Strip until further notice, citing terror attacks against armed forces in the region by jihadists. 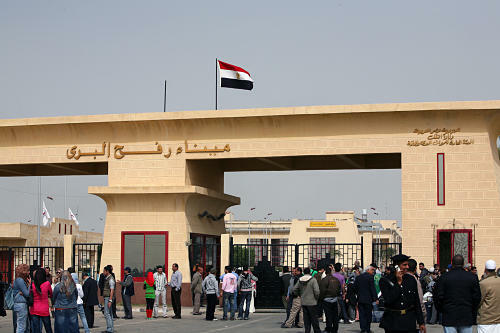 The Rafah crossing is the only land border of Gaza on the outside world. Egypt initially said the crossing passage would be open for four days from Monday to allow in and out movements on humanitarian grounds. Gaza has been besieged by Israel since 2007 and Egypt, over security concerns, has kept the border closed since 2013, only opening the border on rare occasions. Cairo accused Gaza ruler Hamas of sheltering terrorists and of smuggling weapons into the Sinai. The decision to maintain Rafah closed according to Head of the Commission of Crossings and Borders, Hesham Udwan, was motivated by unexpected mayhem in the area. Six Egyptian soldiers were killed on Sunday in an assault by jihadists in North of Sinai. The attackers used Car bombs and mortar shells. Egypt facilitated last week reconciliation between Hamas and rival Fatah based in Israel-controlled West Bank. Gaza where almost 2 million people live, has been declared as an open-air prison with majority living under the poverty line and 44 per cent unemployed. Many UN agencies have described the humanitarian situation in the Strip as catastrophic. Posted by KanelkaTagba on Oct 17 2017. Filed under Headlines, World News. You can follow any responses to this entry through the RSS 2.0. Both comments and pings are currently closed.